The Gouache pillowcases have been studied to coordinate with our Gouache printed collection. 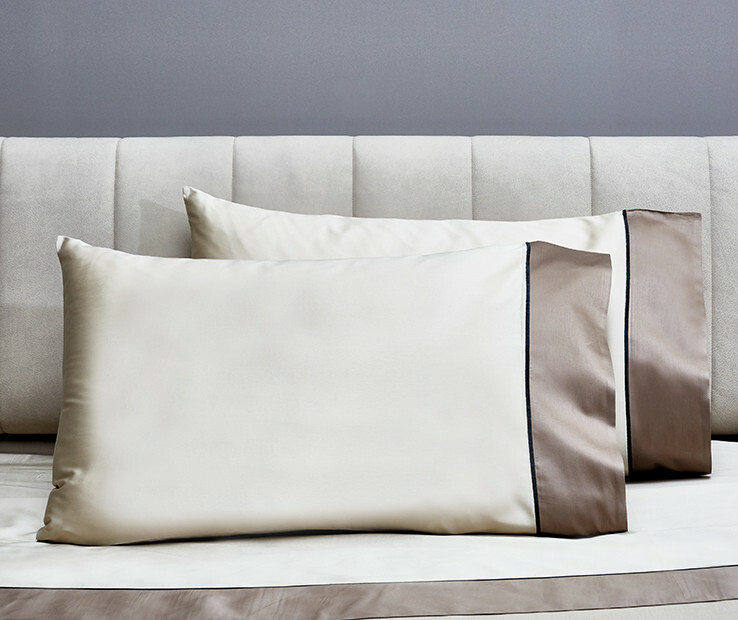 They are made with a wonderful plain long-staple Egyptian cotton sateen refined with a sateen applied border in coordinating color finished with an embroidered line in contrast color. Available in Standard and King sizes. The set includes two pillowcases. Made in Italy. The Gouache sham has been inspired by a famous painter known for his brush strokes which fill up rectangles raising them to a metaphysical dimension. The result is a contemporary canvas of colors. 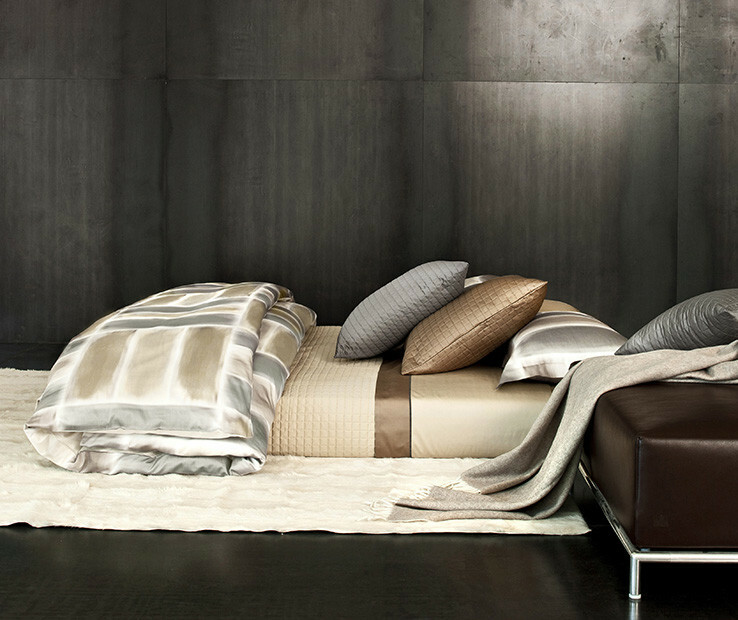 The traditional printing is made on sublime Egyptian cotton sateen 300 t.c. 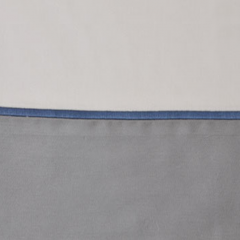 Available in Standard, Euro and King sizes, the shams are neatly finished with a simple hem. Made in Italy. 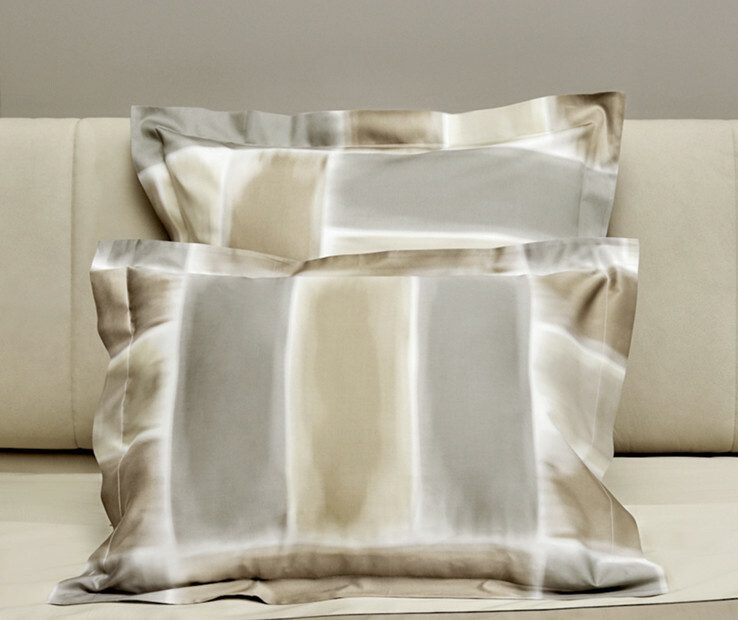 The Gouache duvet cover has been inspired by a famous painter known for his brush strokes which fill up rectangles raising them to a metaphysical dimension. The result is a contemporary canvas of colors. Available in Twin, Queen and King sizes, the Gouache Duvet cover is backed with silky plain cotton sateen in coordinating color and is neatly finished with a simple hem. buttons closure. Made in Italy. The Gouache sheet set has been studied to coordinate with our Gouache printed collection. 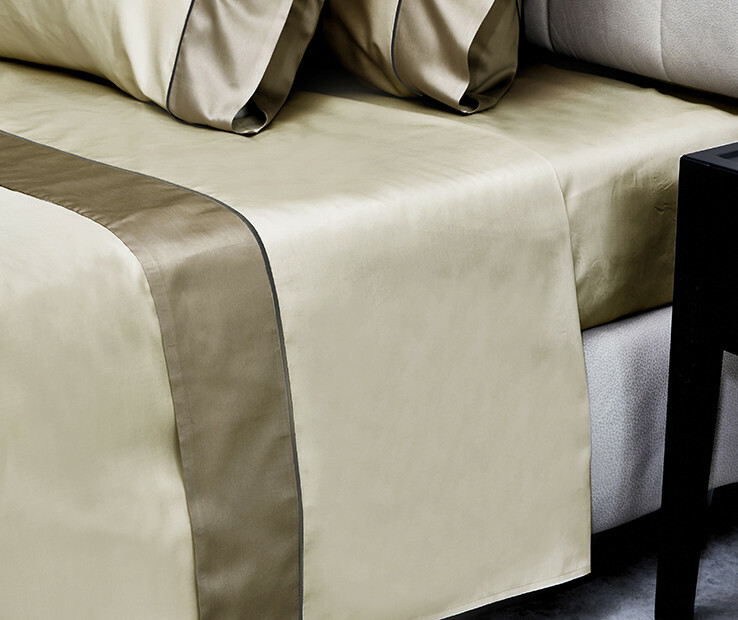 It is made with a wonderful plain long-staple Egyptian cotton sateen refined with a sateen applied border in coordinating color finished with an embroidered line in contrast color. 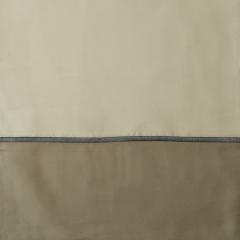 The sheet set is composed of a fitted sheet with elastic all around, a top flat sheet and two pillowcases with applied border and embroidered line. Available in Twin, Queen, King sizes. Made in Italy.